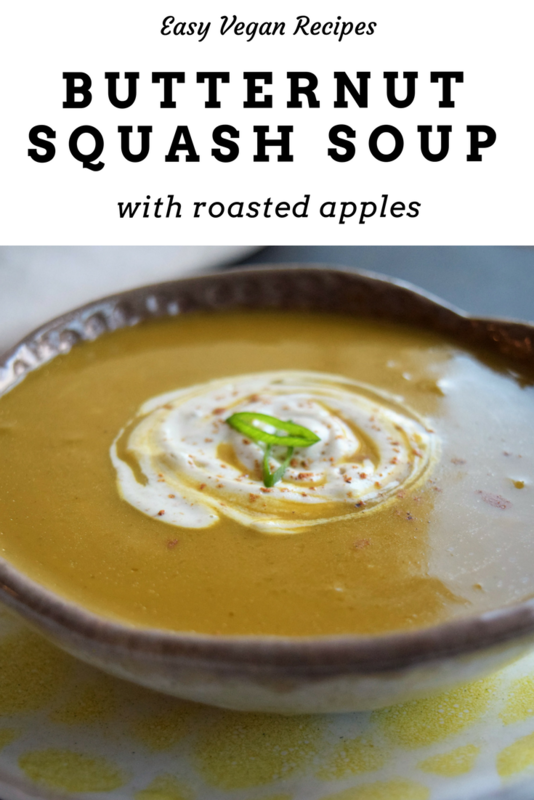 This vegan butternut squash soup with roasted apples is an Autumn staple. The creamy consistency and the sweet and spiced flavor is all I crave from October until the end of March. 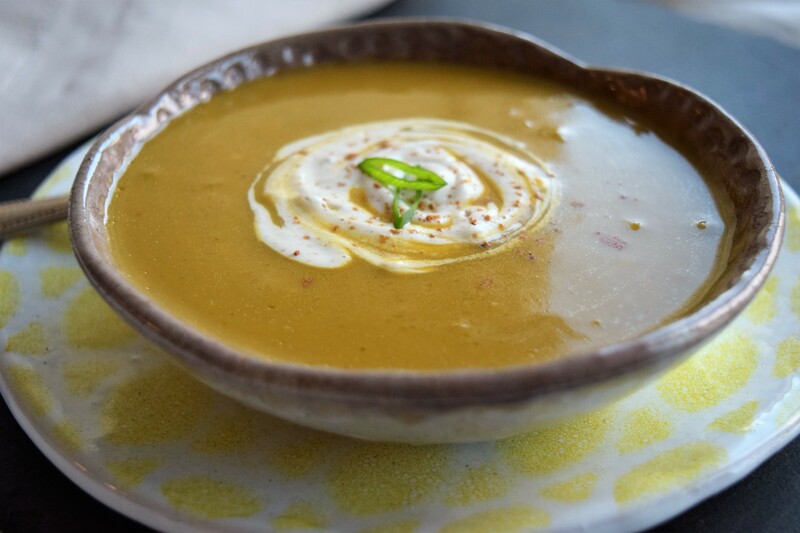 This soup is so festive that you will want to make it the centerpiece of your table for the holidays! In a large baking sheet add the squash and apples, season with salt and pepper to taste, and drizzle the olive oil. Bake for about 30 minutes, stirring occasionally to make sure the squash and apples are roasted evenly. Heat margarine over medium heat. Add shallots, garlic, sage, and a pinch of salt; season with pepper to taste. Cook covered, stirring occasionally, until soft and fragrant. Add the squash and apples, and another pinch of salt, and continue to cook for about 2 minutes. Add the cider and broth and bring to a boil. Lower the heat and simmer until the squash is very tender about 10-15 minutes. Let it cool slightly. Using a blender or immersion blender, puree until very smooth. Return pot to medium heat. Add vinegar and season to taste. Serve with fried sage leaves on top.